This tutorial may be outdated. 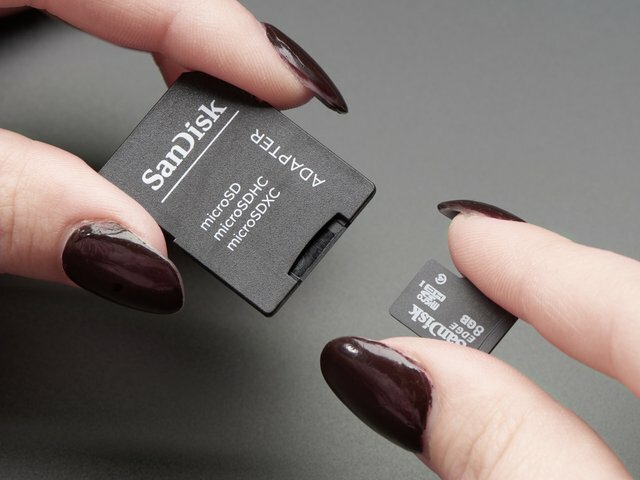 It is no longer recommended for beginners, and may need modifications to code or hardware that is not indicated in the tutorial. 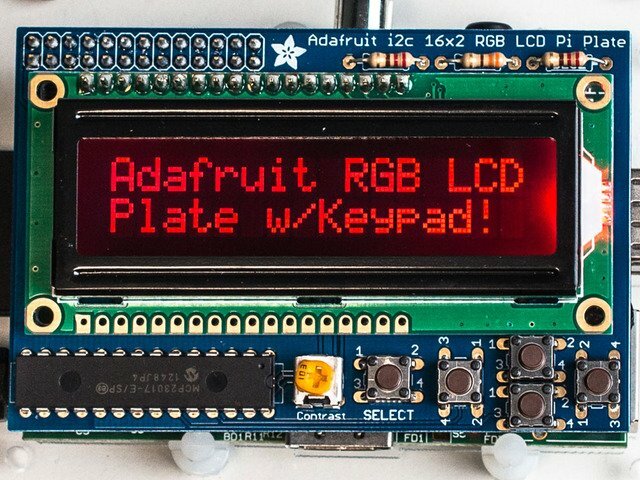 If you haven’t already assembled the LCD Pi Plate, do that step now. Here’s a tutorial to guide you through the assembly. Raspberry Pi Model A users: the LCD Pi Plate is normally assembled with a rubber bumper near one corner for stability atop the Raspberry Pi. This bumper rests on the Ethernet jack, which is only present on the Model B board. 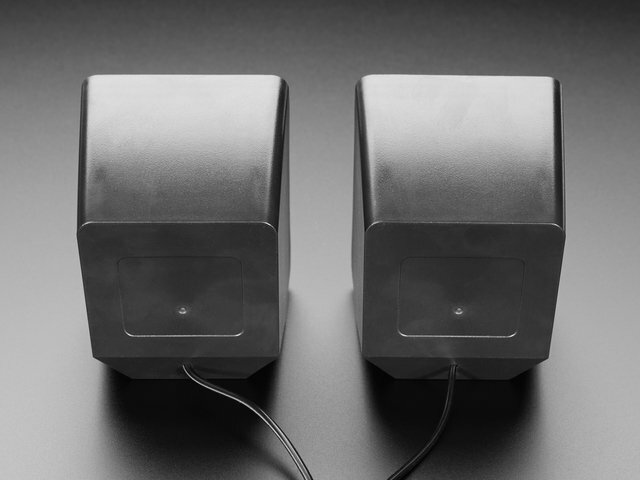 Model A users will need to find a suitable alternative to the bumper, non-conductive and about 5/8" tall. A cork or rubber eraser trimmed to size can work, a 5/8" nylon PC board spacer if you have one, or a 2x2 Lego® brick set on its side. The Raspberry Pi should be shut down when connecting the LCD and installing in a case. If it’s currently running, issue the shutdown command as shown at the bottom of the previous page. 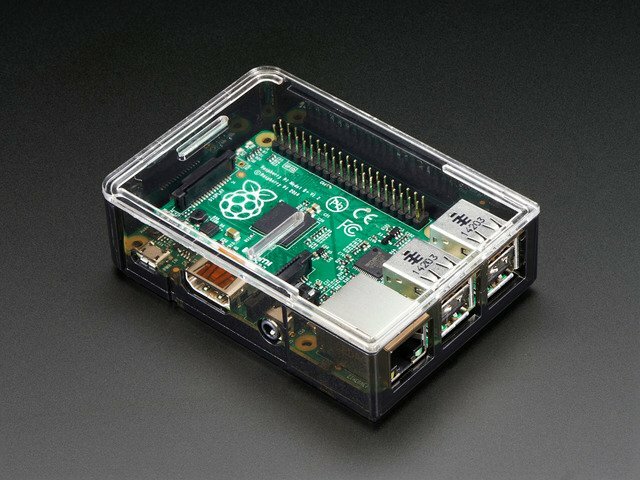 If using the Pi Box case, follow this tutorial to install the Raspberry Pi inside, leaving the top of the case off. Align the 26-pin headers on the LCD plate and Raspberry Pi, and install the plate by pressing straight down gently. 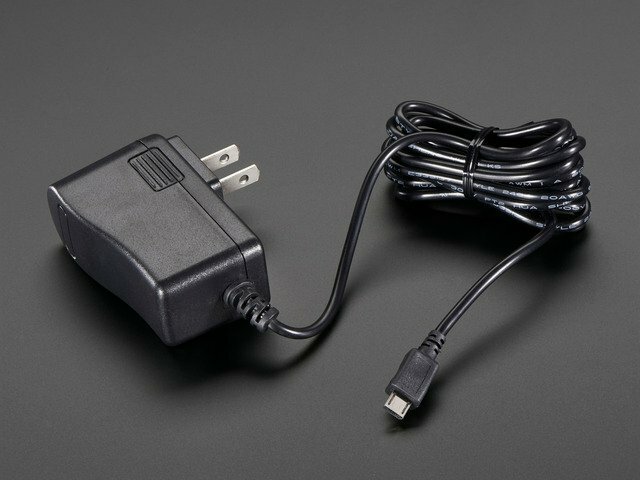 Connect power to the Raspberry Pi. The red power light should come on. 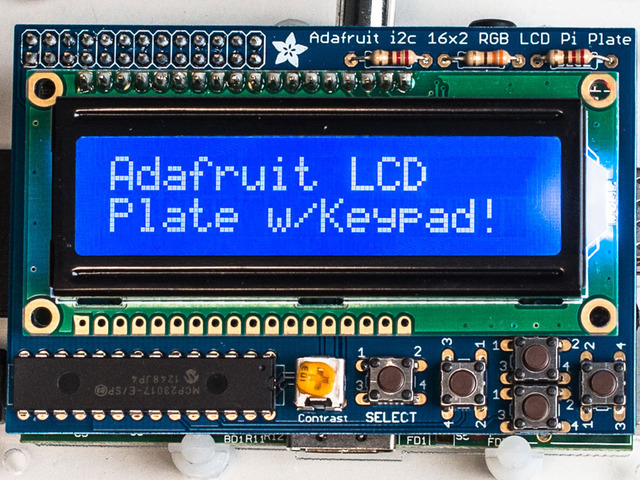 If not, there might be a soldering mistake on the LCD Pi Plate board. If you receive a response that the connection timed out or the hostname cannot be resolved, connect a monitor and keyboard and work through the “Initial System Configuration” steps again; it’s most likely a typo in the wireless setup. You should be successfully logged into the system at this point. 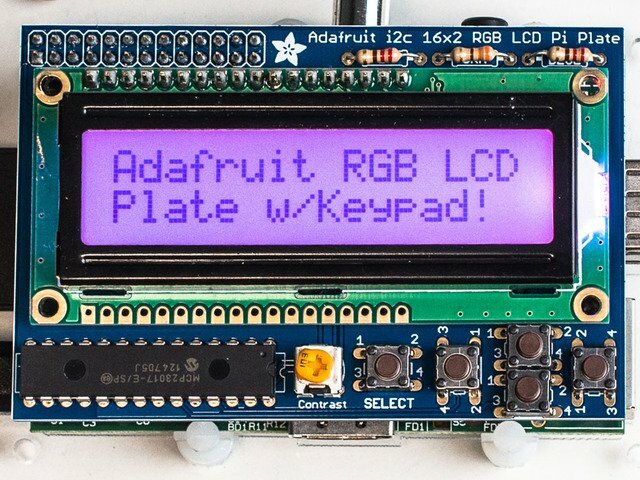 If using an RGB-backlit LCD, the program should cycle through different backlight colors (with the Blue & White LCD, it will flash on and off a few times). Then it will ask you to try pressing buttons. Adjust the Contrast dial (using a small screwdriver if necessary) until the text is sharp and legible. When finished, press Control+C to exit. The LCD is ready! This is our own “wrapper” for pianobar, allowing us to use the LCD and buttons to interact with that program. If all goes well, the system should report its network address, fetch a list of stations from the Pandora server and start playing. If not, refer to the Troubleshooting page. With only a few buttons available, we’ve condensed only the most essential functions to this program. If you need to configure your Pandora account (such as adding new stations to the list), use a web browser to access the Pandora web site. Play/Pause (tap once to pause, again to play, or hold for three seconds to exit the program). Station select (brings up a menu — can then use the up and down buttons to pick a station — press this button again to activate, or the Play/Pause button to cancel). Take a moment to experiment with the buttons and familiarize yourself with their use. If everything seems to be working, we’ll do some final configuration to make the system truly standalone. To exit from the PiPhi program, hold down Select (the leftmost button) for 3+ seconds. This is only a potential issue during testing — once it’s set up as a fully standalone device with auto-start and shutdown, you shouldn't experience this problem. Nearly there! Now we just need to set up the system to start our program upon booting. If you downloaded or otherwise placed the radio software in a different location, the first line should be changed accordingly. “sudo” isn’t necessary here because the rc.local script is already run as root. After 30 seconds to a minute, you should see the backlight turn on and music will begin. If not, connect to the system using ssh and confirm the configuration steps above. This guide was first published on Apr 12, 2013. It was last updated on Apr 12, 2013. This page (LCD and Final Configuration) was last updated on Apr 20, 2019.